Have you ever wanted to experience the wild beauty of the land of the Northern Lights? 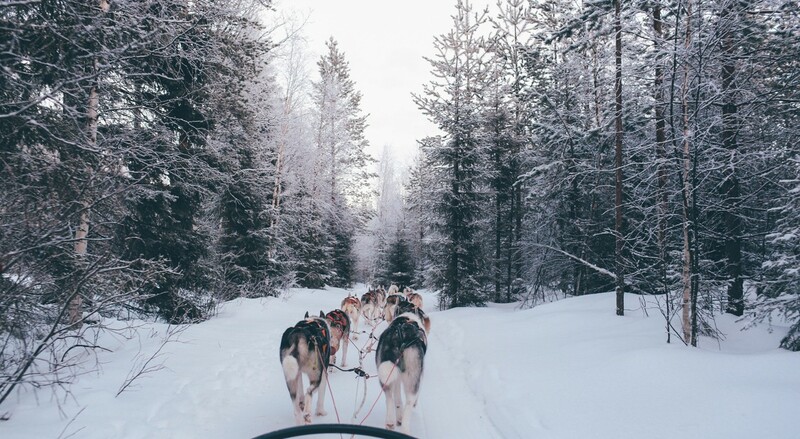 Use our guide to make the most of a winter holiday in VEEN’s place of origin, Finnish Lapland. The sky is an enormous, seemingly endless arch of rich, deep violet blue. Trees stand in the ethereal light, draped with a soft, pure white blanket; successive snow falls clustering in clumps and bumps over branches to create shapes akin to contemporary art. The only sound is that of your own footsteps. Here, above the Arctic Circle, in the depth of Kaamos, the polar night when the sun no longer rises above the horizon for up to two months at a time, it seems as if the real world has been replaced by a pristine dreamscape, perhaps the creation of a beautiful ice queen. But first impressions are deceiving. It may be the polar night during December and January, but it is rarely completely dark. The blue twilight glows, complimented by the light of the moon reflecting off the virginal snow. And, just around midnight, there is a very good chance you will be treated to the unforgettable spectacle of Aurora Borealis setting the clear sky on fire with swirls and ribbons of intense pink, green and yellow, a phenomenon that the indigenous Sami people believed was caused by a fox running across the Arctic fells, sparks flying from its tail as it went. 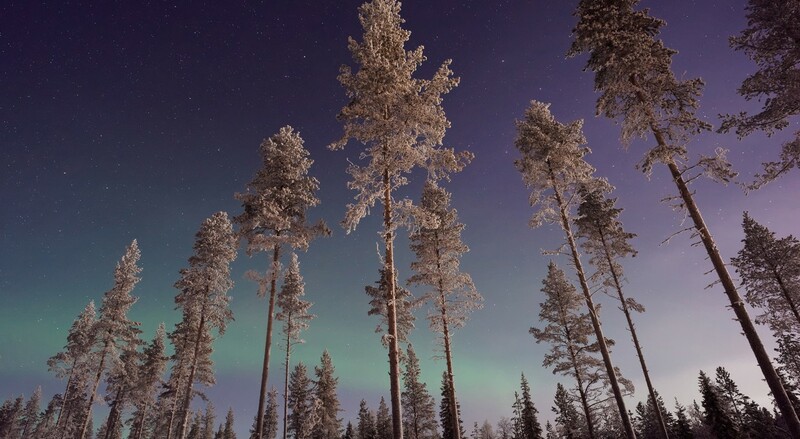 Finnish Lapland is one of the best places in the world to witness the awe-inspiring sight of the Northern Lights: unchallenged by city glow, they appear here on roughly 200 nights of the year, lasting anything from a matter of seconds to hours. They are a most apt symbol of this sparsely populated northern land – a place infused with magic; where an almost untouched wilderness whispers its secrets amid mysterious fells, frozen lakes, and fairy tale forests that stretch out as far as the eye can see; where contrasts of dark and light, dramatic and tranquil, fierce and delicate abound: months of winter giving way to the land of the midnight sun each glorious Finnish summer. 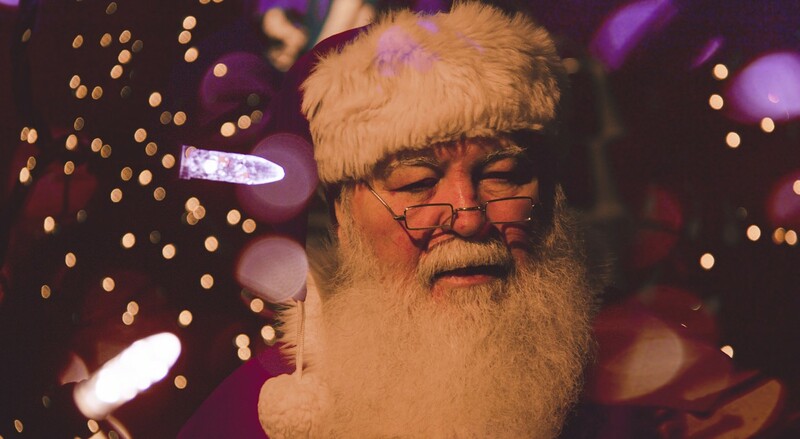 Years before Frozen had children around the globe yearning for frosty superpowers, Lapland – which covers northernmost Sweden and Finland – held a special place in the hearts of the young as the official home of Santa Claus. Since there are very few direct flights, your trip will start in Helsinki. Do spend a few days sightseeing in the vibrant Finnish capital, and don’t miss the achingly hip design district (the city was named World Design Capital in 2012), the international Market Square, and a spin on SkyWheel, a 40-metre high observation wheel which provides 360° city views. Try the sauna gondola for a quintessentially Finnish experience! (www.visithelsinki.fi) For somewhere über cool and funky to base yourself, Hotel Klaus K is perfect, located on the edge of the design district and minutes from Helsinki’s main artery, Mannerheimintie (www.klauskhotel.com). A little about Finland the country before we head further north. 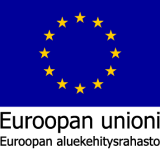 While it is the eighth largest country in Europe, it has the lowest population density in the EU, and an overall population of just over 5.5 million. Given that much of the population clusters in a scattering of cities, there are vast expanses where you can merrily hike for hours and pass only a handful of other wanderers. Finland boasts 40 national parks, and routinely ranks as one of the cleanest countries in the world, taking into account water purity, biodiversity and overall environmental health. The heavily forested landscape is also known for its sparkling, clean waters, hence Finland’s moniker as ‘the land of a thousand lakes’, a gross under-statement considering there are actually more than 180,000 lakes across the country. 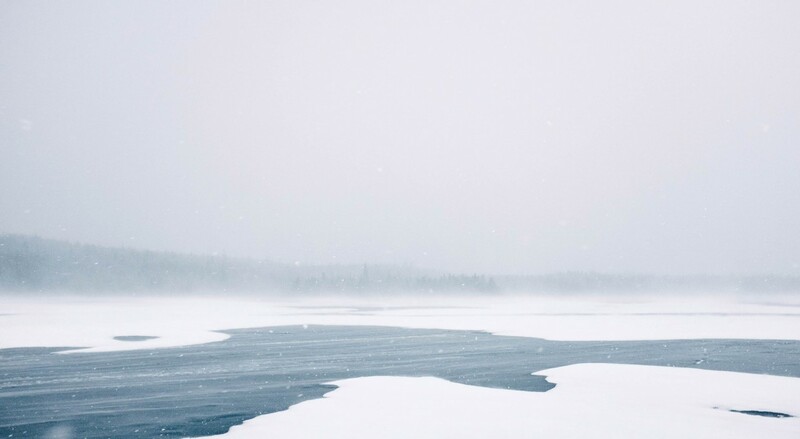 The northern waters in particular are renowned for their purity, which is why VEEN bottles its pure spring water at source, in the Konisaajo area of Lapland. Here, the natural filtration process produces water unspoiled by nitrates, and with an exceptionally low mineral content compared to that produced anywhere else in the world, resulting in VEEN’s exceptionally smooth taste. So, now you are acquainted with the fall of the land, it is time to jingle the sleigh bells and head far north. But where does one start? Lapland’s capital, Rovaniemi, the gateway to the region, is the official residence of Father Christmas. Santa Claus Village is open all year round, so you can see the famous man in red, chat to his elves, or visit Rudolph and his reindeer friends (www.santaclausvillage.info). Rovaniemi is also a wonderful place to explore local cuisine – try smoked Arctic char fish and reindeer steak at Laanilan Kievari (www.laanilankievari.fi) and be inspired by the traditional architecture, complete with reindeer horns, at Nili Restaurant (www.nili.fi). Be sure to stay in accommodation purpose-built to make the most of the serene vistas around you. Spend the night in a snow room, with a frozen bed layered with reindeer skins, at Arctic SnowHotel (www.arcticsnowhotel.fi). At ArcticTreeHouse Hotel, get comfy in an individual timber treehouse, complete with stunning views across the valley thanks to a huge window which forms one wall of easy cosy cube (www.arctictreehousehotel.com). Alternatively, live the high life at the glass-ceilinged Eagle’s View Suite at the Hotel Iso-Syöte, an hour and a half from the city of Oulu (www.hotelli-isosyote.fi). If glamping is more your style, try a heated luxury tepee modelled on a traditional reindeer herder tent (www.luxuryaction.com/en/teepee-wilderness-camp/). Wherever you decide to rest your head, there is a multitude of activities to keep you entertained. 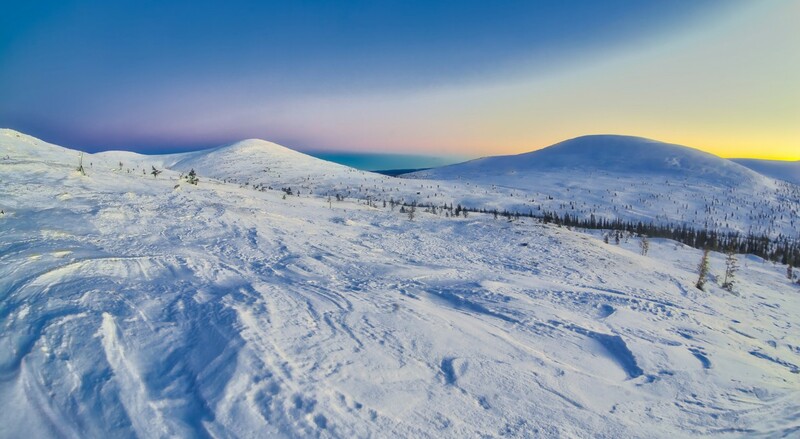 The Lapland fells are home to Finland’s biggest ski resorts, offering a wide diversity of terrain, as well as snow parks and cross-country adventures. The protracted winter means a long ski season, from late October until April. Ski towns such as Levi also offer activities such as husky and reindeer rides, snowmobiling, snow-shoeing and ice-fishing (www.visitfinland.com/article/ski-lapland). Whatever your experience, there is one certainty: it is impossible to visit this winter wonderland without being over-awed by one of the earth’s most stunning settings. The real ice queen is winter herself, the brutal but beautiful Kaamos, striding through her lovely white world in a velvety cloak of blue and violet. You will find she rarely stands still – she is continually changing the light and the landscape, sometimes subtly, sometimes in swift bursts of glorious energy. It is both peaceful and dramatic, a place which demands visitors be present in the moment, and a perfect antidote to the 24/7 always connected 21st-century existence most of us live in today. It is hard not to feel that there must be at least a little magic in the air, even if you long ago stopped believing in Father Christmas.